Investor, student and first time buyer alert! This 1bed/1bath/599sq home features Inlet & green space views, an efficient floor plan, quality flooring, GE Cafe appliances, quartz counters, a spacious kitchen w/breakfast bar & covered balcony. Spacious master has walk-through closet to a cheater 4pc bathroom. 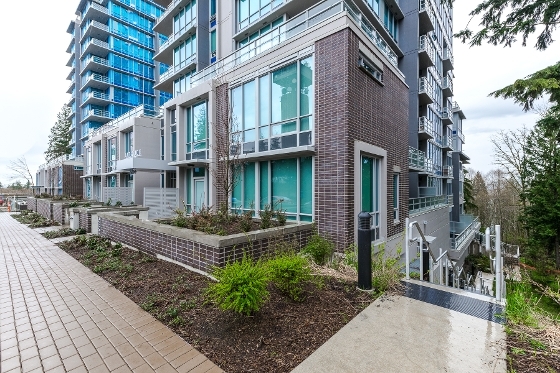 Altitude is Vancouver's highest rising tower, 1 yr young & rental & pet friendly. Bonus: 1 locker & Parking. Walk to: transit, campus, childcare, shopping, indoor/outdoor rec. & a host of resident-only perks. Do not miss your chance to enjoy living in this great lifestyle neighborhood!